Who is interested in philately by collecting covers flown with first or special (airmail) flights, or in airmail research (aerophilately)? Are you looking for airmail covers, airmail stamps or cinderellas related to airmail? 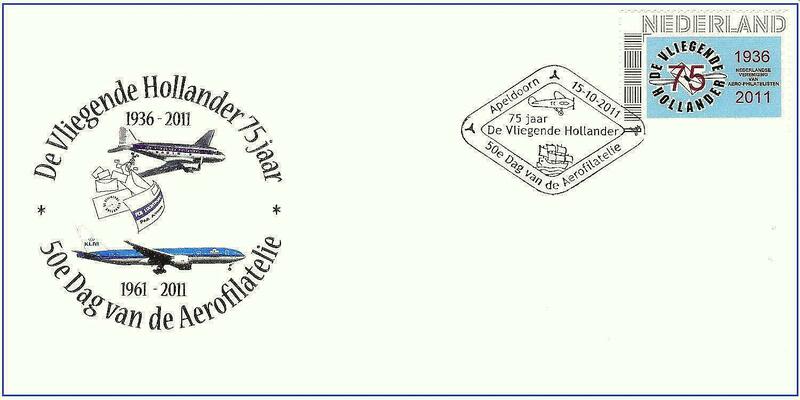 ‘De Vliegende Hollander’ is the society for collectors of airmail, airmail stamps, special cancellations of airmail, logos, semi-official stamps, postal documents, etc. 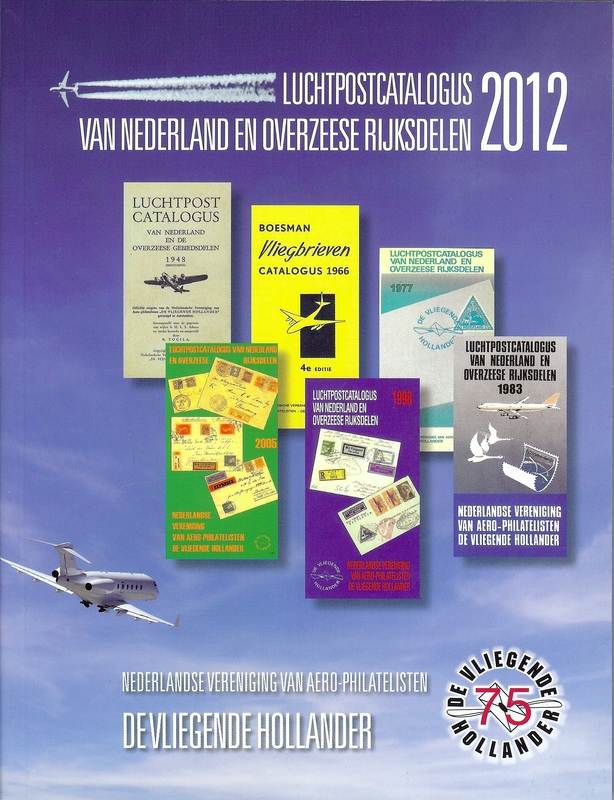 Founded on 1 January 1936, it is the largest Dutch society specializing in airmail. It is a founding member of the FISA, the International Federation of Aero-philatelic Societies, and a member of the KNBF, the Netherlands federation of philatelic societies. First of all, it is a hobby – pleasant, interesting and instructive. Aerophilately is a branch of philately. Aerophilatelists collect covers, postcards etc., which have been conveyed by air through the Post, most often by plane but also by airships (zeppelins). Collecting airmail stamps is also part of the hobby. A well-organised collection can present a clear view of the development of certain aspects of air mail. Most aerophilatelists specialise in particular subjects: selected routes or carriers, zeppelin mail, mail from the pioneering days, or – on the contrary – air mail from our own time. In our catalogue one can find the official definition and description of what we consider to be aerophilately. Whatever subject you choose, you will be sure that you will find the development of your hobby very enjoyable and interesting. Our society, with about 350 members, will be pleased to assist you. It is a member of the worldwide organisation for airmail, the FISA. The collecting of airmail from other countries is also a hobby of many of our members. We can offer suggestions for contacts abroad in the form of correspondence, excursions and participation in exhibitions abroad. Membership fees are € 25,00 a year (for The Netherlands), and € 30,00 for other countries. To become a member and join the society you just have to fill in the application form and send it to the address on the form. This magazine is published four times a year. It has articles on airmail, information about the news service, auctions (membership required), the (regional) meetings of the society, and much more. The subscription fee is included in the membership. The Annual General meeting will be held in April or May. There is a formal meeting with agenda, a lunch for members and their partners, and always an auction. A highlight every year is the autumn meeting in October/November, on a Saturday and Sunday, with an official exhibition. Members and colleagues from sister societies can exhibit their airmail collection(s). Traders are present and there is always an interesting auction. The Netherlands Society has regional branches: Kudelstaart (Amsterdam), Hilversum, Vlissingen and Eindhoven. The bigger ones meet five times a year, the smaller ones two or three times. Every member of the Society may attend all meetings. There are always meetings or presentations by members and auctions. Information about the meetings can be found in our journal. Each year we have three general auctions during the annual general meeting and the autumn weekend with auctions as published in our journal. There is an auction at every regional meeting. Participation in the auctions is reserved for our members. Bids in writing (by post or e-mail) can be sent by members who are not able to attend in person. The Auction Commissioner judges all handed-in items, decides about the quality of the material and sets the opening bid. He has the authority to refuse unsuitable items. All auctions are published on the internet. Our new, fully revised, A5 sized, full color, 688 pages thick catalogue has just been issued in March 2012. 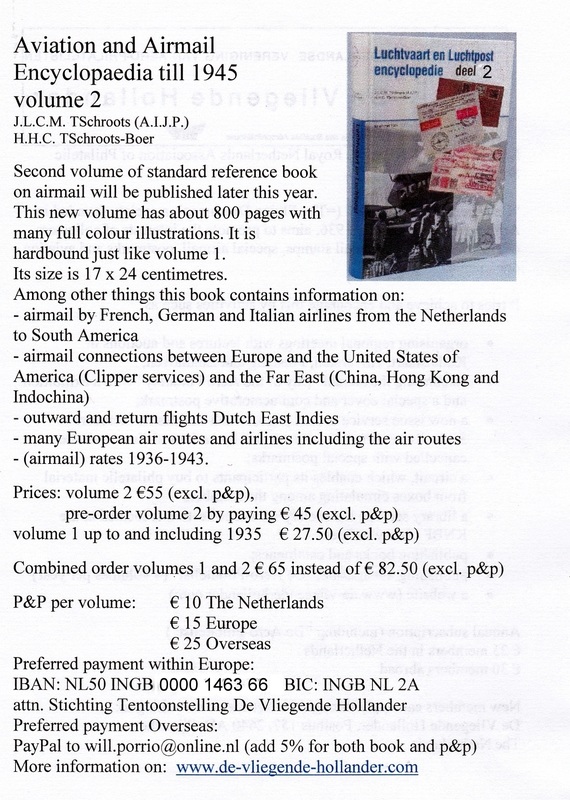 It has chapters on airmail in/from/to The Netherlands, in/from/to the former Netherlands East Indies and Dutch New Guinea, in/from/to the West Indies and Surinam, crash mail, emergency mail (ice and snow mails), helicopter mails, catapult mails, zeppelin mails, balloon mails and special covers of all Days of Aerophilately. The catalogue price is € 25. For postal delivery within The Netherlands we charge € 4. € 12,00 for Bulgaria, Estonia, Finland, Hungary, Ireland, Latvia, Lithuania, Poland, Portugal, Romania, Czech Republic, and Slovakia. € 13,00 for all other European countries not listed above. € 19,00 for countries outside Europe. Alternative Internet payment method: PayPal to will.porrio@online.nl (please add 5,5% of the total amount for PayPal transfer cost). Air mail connections between The Netherlands and South Africa (1938-1989), by Leo Crandel. Information how to order these and more books can be found in our journal. Participants in this service – run by the Circulation Commissioner – receive regularly consignments on approval, each one consisting of ca 17 folders with air mail materials. Each consignment has a list of names of participants. Removal of part of the contents (purchase) must be marked on the folder. All purchases must be paid within 8 days on account IBAN NL97 INGB 0000 5102 40 of the De Vliegende Hollander at Leimuiden. Within 4 days the consignment should be passed on to the next person on the list. When sent by mail, consignments must be registered. Participants in the service remain responsible until the consignment reaches the next participant on the list. When forwarding the consignment, the participant in the service must inform the Circulation Commissioner by postcard (postcards are included in the consigment). Participants can also offer items for sale. Special circulation folders (each holding about 25 letters) are available from the Circulation Commissioner for € 0.50 (plus postage). Accounts are settled either at the end of the year or when so many items have been sold that the folder cannot be included in the circulation anymore. Ten percent of the price goes to the Society plus one percent for the costs of insurance. Participants must register with the News Service Commissioner. Participants must clearly indicate which covers they want to receive from which carrier, from/to which country, balloon mail, zeppelin mail, airmail from Antarctica, etc. The News Service does everything possible but cannot guarantee success: sometimes our covers just disappear! The service operates with creditbalances of the particpants. When receiving covers, the participants receive a statement of the account. The invoice must be paid so that once again there is a reserve of € 12.50 in the account. In case of default, no more covers are sent. The account must, of course, be paid. Subscribers receive only one item of every flight. A subscriber can, upon notification, always change his/her field of interest, but items bought can not be returned. If you are interested in recent covers of the news service, you can find the list 'still available' here.